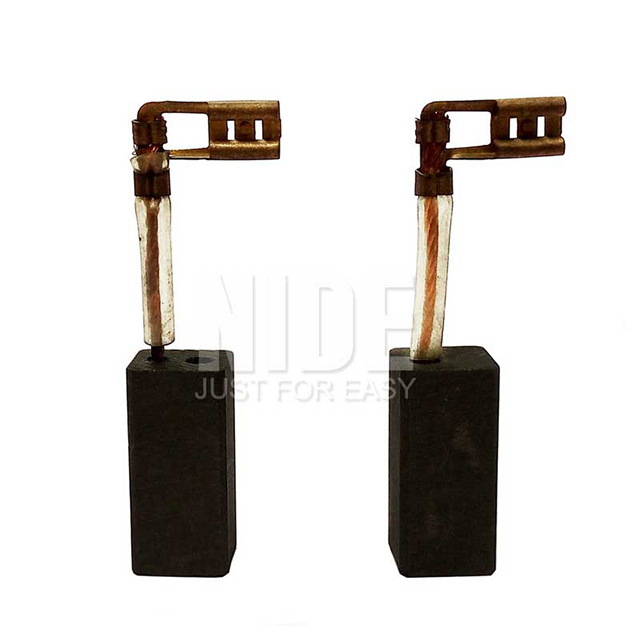 Appliances Application Carbon Brush-Ningbo Haishu Nide International Co., Ltd.
We make various kinds of carbon brush as per customer’s drawing and samples. Our carbon brush is widely applied the different industrials. 1) The carbon brush for power tools: electro motors, grinding machines, drilling machines, hammers, electrical planer ect. 2) Carbon brush for household appliances: air conditioning, or other household appliances. 3) Carbon brush for automotive industry: windscreen wipers, fan window lifts, ABS baking systems, etc. 4) Carbon brush for motors which commutator can not be used. 5) Carbon brush for small and special motor. 1.We directly supply our carbon brushes to many countries, like USA, France, Turkey, Iran, India, Brazil, Argentina, Mexico etc. 2. Our carbon brush has a wide application, such as automotive industry, household appliances, hammers, planers and etc. 3. We have a wide range of carbon brush. 4. We could customize carbon brush for our customer. 3. Carbon brush voltage and current requirement.